The Port Ellen distillery is located in Port Ellen on the isle of Islay, Scotland.  Port Ellen was established as a malt mill in 1825, and then developed as a distillery under John Ramsay from 1833 to 1892. The warehouses he built still exist and are now listed buildings. The distillery was acquired by the Distillers Company Limited in 1925, was closed in 1930 and rebuilt in 1966/1967. It continued in production throughout the 1970s and was closed in 1983, although supplies of its single malt whisky are still available. The distillery houses a malting which continues to supply all Islay distilleries, as per an agreement signed in 1987. The dwindling stocks of Port Ellen whisky are now owned by Diageo; due to the closing of the distillery, its whisky is because of its quality a collectors item.